The 11 Best Places for a Kid’s Birthday Party in Nebraska! 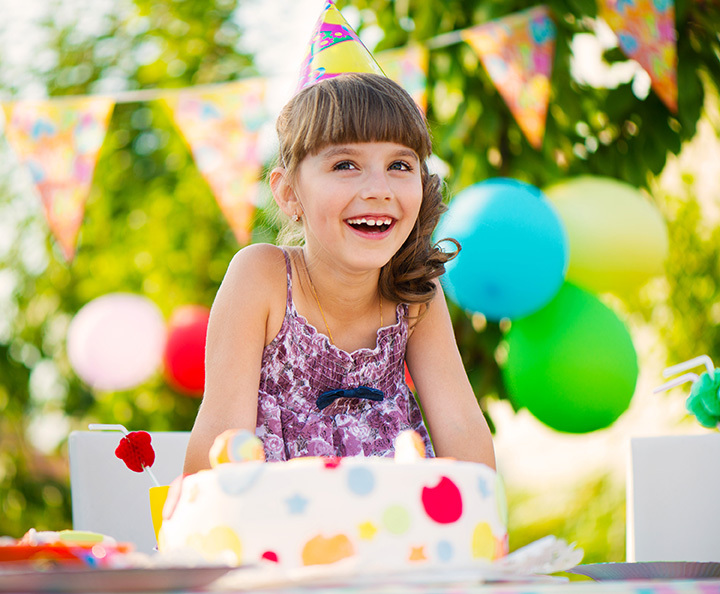 In Nebraska, there is an abundance of fun venues to celebrate your child’s birthday with a party. And the best part is that no matter which venue you choose, most of them include full services and clean up so you can just show up and have a blast. So bring on the cake—here are the 10 best places for a kid’s birthday party in Nebraska. Children can enjoy an up-close encounter and animal visit at the Henry Doorly Zoo & Aquarium in Omaha. Birthday packages include an animal-themed activity, ice cream and treats, animal tattoos, and a group photo to cherish the party forever. For a rustic birthday party adventure, book your party at the Bellevue Berry & Pumpkin Ranch for hayrides, campfires, a ghost town, haunted caves, and many more exciting activities. The Bellevue Berry & Pumpkin Ranch has a variety of spaces to accommodate parties of any size. Offering “Paint Your Own Pottery” and other fun projects, That Pottery Place in Omaha is the perfect place for children to celebrate their special day and showcase their creative sides. Parties include approximately one hour for creating and a half hour for food and gifts. At the Lincoln Children’s Museum, you can select from a variety of fun birthday party themes, such as princess, pirates, safari, dinosaur, rock star, superhero, or cowboy/cowgirl. Then, the museum will take care of all the details. All you have to do is show up with the kids and bring your favorite birthday treat for an afternoon of fun and adventure! Defy Gravity in Lincoln offers a variety of birthday party packages ranging from a simple package, glow in the dark package, and warrior package for the ultimate afternoon of trampoline fun. Each package includes different levels of food, treats, and jumping time to fit your birthday party’s needs. At this state park, children can enjoy both indoor and outdoor activities including miniature golf, hiking on the well-maintained trails, fishing, playing on an indoor playground, ice skating, and even visiting the Family Aquatic Center. For the ultimate, high-energy birthday party, a visit to the Family Fun Center XL in Omaha is a must. This large complex features a variety of activities for children to enjoy—including laser tag, paintball, a rock wall, an arcade, and more. All birthday packages include an unlimited buffet and drinks to enjoy. The Kids Body Shop in Papillion offers a variety of fun gymnastics-related activities for any birthday party. Parties can be held on Fridays or Saturdays and include access to the pool and gymnasium for children to enjoy. The facility provides the invitations, favor bags, and tables to enjoy treats so you just have to show up and have fun! If you’re looking for the perfect place to have a birthday party for kids who love to bowl, head to The Mark in Elkhorn. The Mark’s birthday party packages include all of the food, decorations, games and entertainment you’ll need. Children can enjoy bowling, the arcade, laser tag, and much more. The Big Apple Fun City in Kearney offers a variety of birthday party packages to enjoy their Ballocity, bowling, or laser tag facilities. Each package includes food and drink options and decorations for the birthday person. Free mini-golf is also included with every birthday party! Island Oasis Water Park in Grand Island is the perfect place for a summer birthday party between May and August. Named the best water park between Des Moines and Denver, Island Oasis offers many water activities even for the youngest children to enjoy.